Have you ever seen a place this much captivating even in its ruined state? Hampi is a destination that attracts a number of tourists to witness the finest range of ruins. It is a small village sited in the northern region of Karnataka and has been declared as a World Heritage Site by UNESCO. 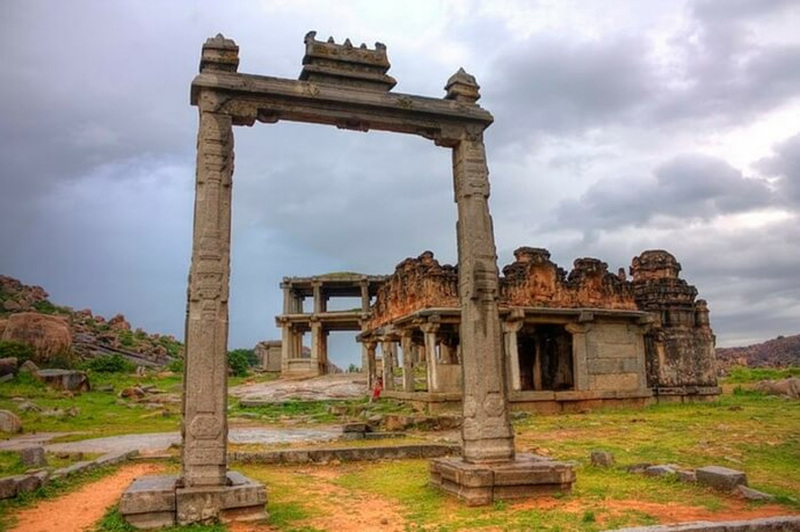 Earlier, Hampi was the splendid capital of Vijayanagar Empire, which was studded with wonderful palaces, holy temples, majestic forts, vibrant markets, pavilions, and stables for royal elephants. It has also been a home to several artists including architectures, artisans, sculptors, and musicians. Go through this tour guide of Hampi to get maximum information about it. Hampi is situated in the Bellary district of Karnataka. People who are interested in architecture should definitely visit this destination during their trip. Understanding the large influx of tourists, the town has been ensured accessibility by all three modes of transportation including air, rail and road. Belgaun Airport is the nearest airport from Hampi which is situated at a distance of 270 km from it. From here, you can take a taxi for Hampi. Its nearest railway station is Hospet which is about 13 km away. About 10 daily trains and 5 special trains pass from here. From here, a taxi to Hampi can be hired. Hampi is very well-connected to all major cities of Karnataka by road. KSRTC buses carry out regularly from Hospet to Hampi. Travelers can also hire a taxi to explore the heritage of this historic town. Hampi comprises of a weather which is tropical in nature. It witnesses three months of summer which are hot and dry and temperature reaches this time up to 44 degrees C. The rainy season is a time when it is impossible for backpackers to venture outside. Winter is the perfect time to come here when the days are slightly cold and temperatures reach around 28 degrees C. This is a time when you can explore the historical ruins of Hampi. A trip to Hampi allows you to visit a multitude of tourist attractions and if you want to witness the splendor, there are several sightseeing points here. King’s Balance is comprised of two majestically carved granite pillars, which are 15 feet high and support a stone beam of 12 feet. It is popularly called as Tula Bhara or Tula Purushadana. King’s Balance was used to weigh the kings against grain, gold and money which were used to be distributed among the poor. Virupaksha Temple is the most prominent temples of Hampi standing gloriously amidst the ruins of the town. It is situated on the South bank of Tungbhadra River. Vitthala Temple is situated on the Northeast of Hampi comprising of an imposing structure snuggled amidst the ruins. The temple features 56 musical pillars that vibrate with musical notes. Excursion tour to Hampi is comprised of an exhilarating journey and lets you visiting two prominent destinations including Tungbhadra Dam and Ramandurga. Tungabhadra Dam is built to control the waters from the Tungabhadra River. There is a garden style base at the bottom of this dam. Ramandurga is a hill-station that also features a temple dedicated to Ramadeva. Everything about this ruined city tells the glorious stories of the bygone era of regional. If you also want to indulge into the imperial history of the state, visit the easemytrip holiday page and take a tour package to enjoy a memorable holiday.